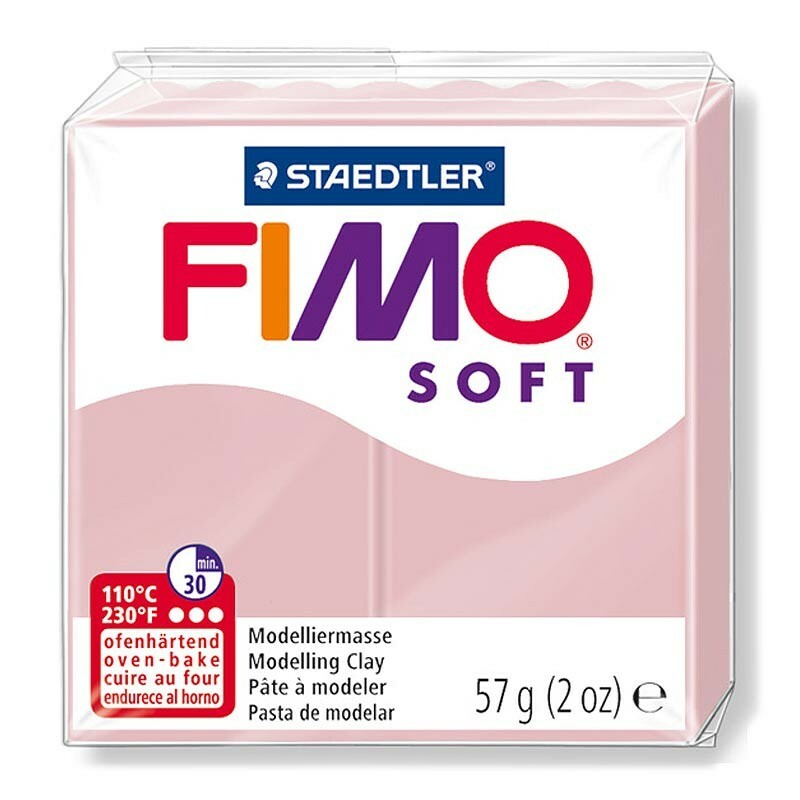 Fimo polymer clay Soft 57g blocks. PaperStory is an authorised Fimo Staedtler Supplier. All our Fimo is fresh off the production line from Germany. Once modelled place in a preheated oven at 110 degrees celcius or 230 degrees farenheit for approximately 30 minutes. Warning: For children over 8 years of age only, & for use under adult supervision. Knead and shape FIMO. You can use modelling tools, for example, to create and work out small details. It is possible to use a core made of aluminium foil for larger objects to save material. Do not allow the soft clay to come in contact with furniture, the floor, carpet or fabric. Place the modelled object on aluminium foil or baking paper and let it harden in the preheated oven for a maximum of 30 minutes at a temperature of 110°C/230°F. FIMO will only be completely hardened when cooled down to room temperature. Only begin any finishing work (painting, varnishing, drilling, polishing) when the object has cooled down. Use epoxy glue to repair broken parts as well as to connect FIMO with metal parts. Do not use the created objects directly with food, beverages, dishes or open fire (candle, ash tray). Store FIMO covered with aluminium foil or in PE bags (cling film) at room temperature. FIMO must not come in contact with polystyrene, polyvinyl chloride or Styrofoam. In case of accidental overheating and inhalation of harmful gases: take the person outside and seek immediate medical advice. Ventilate the room well afterwards. Clean the oven with standard cleaning agents. FIMO is a craft product, not a toy. Do not exceed a temperature of 130°C/265°F or harmful gases may be produced. Do not exceed a hardening time of 30 minutes. Do not expose hardened material to temperatures exceeding 130°C/265°F. Do not harden in the microwave. Do not allow the product to come into contact with an open flame, hot knife or wire. Use a domestic oven thermometer, e.g. bimetal, to measure and check the temperature. Do not heat material and cook food at the same time in a domestic oven. Material can be disposed of with the normal refuse (household rubbish).